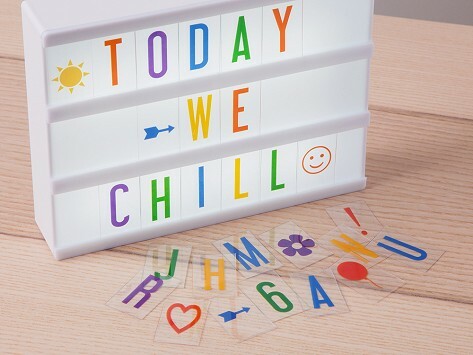 Get even more creative with your original customizable marquee lightbox. Slide these colorful characters and symbols through the rails to set a reminder, add a quote, or showcase your favorite movie. Make sure you have all the supply you need for your brilliant ideas. 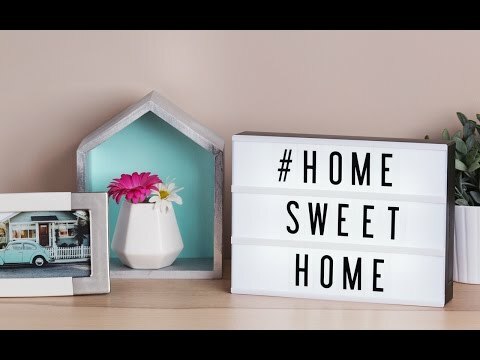 Dimensions: 6" x 4" x 1.2"
My Cinema Lightbox lets you decide what’s featured on the big screen—whether it’s words to your favorite song or a cheerful note to your family.